AQUAMAN is coming to theatres everywhere later this month. Expect a review from me a week from Monday or so. Until then, if you’re anything like me, the unexpected buzz has you hungry for some good undersea content. When it comes to Aquaman the character, many will point you towards Grant Morrison’s JLA run. Throughout his time on the book, Morrison managed to make Orin work in both land and sea adventures. 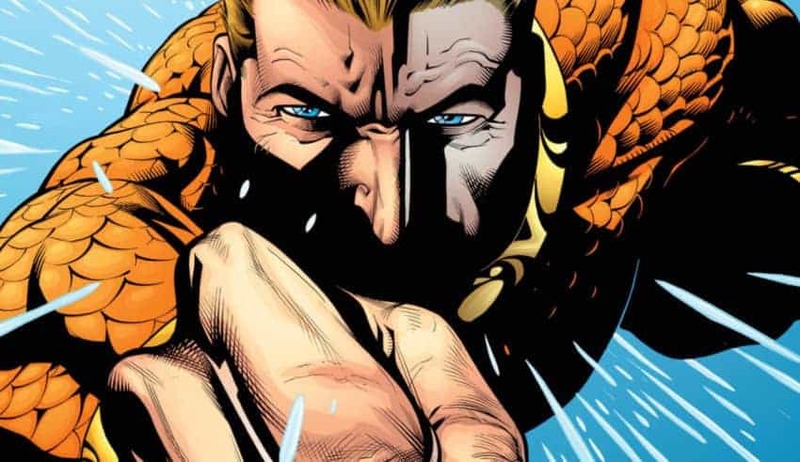 It stood as a direct rebuke to the oft-cited claim that Aquaman did not make sense on the team. When it comes to AQUAMAN as a title, the definitive run is arguably Peter David’s 46-issue run. For fans of the more recent incarnation of the DCU, perhaps Johns’ run at the start of the New 52 is the benchmark. However, for me, there’s one take on the character that always comes to mind first. 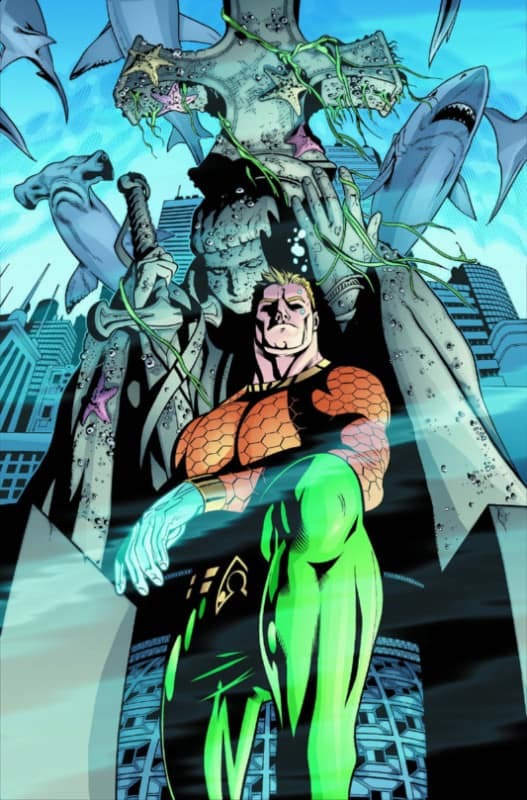 In a far-too-short eight-issue run in 2004, writer Wil Pfeifer and main artist Patrick Gleason combined to take Aquaman in a unique direction that briefly reignited the AQUAMAN title’s creative juices and received critical praise. Please allow me to introduce — or perhaps reintroduce — you to this, the best AQUAMAN run most people don’t know about. Aquaman surveys his domain. Image courtesy of DC Entertainment. In 2003, DC relaunched the AQUAMAN title. Heading this run was writer Rick Veitch. Joining him as collaborators were penciler Yvel Guichet, inker Mark Propst, Colorist Nathan Eyrin, and letterer Michael Heisler. After the hook-hand King of Atlantis era, DC was anxious for a new direction to hopefully reinvigorate interest in Aquaman. As a solution, Veitch conceived of a plot heavy with mysticism. The run saw Orin being left for dead as a traitor after a coup removes him from power. The Lady of the Lake from Arthurian legend saves Aquaman and replaces his hook with a magical water-hand. Now the Lady’s champion, he decides to live a life out of the water inside an Irish lighthouse. It would not be long, however, before Aquaman found himself pulled into a quest. Charged with protecting the Secret Sea — a hidden body of water responsible for all life on Earth — Aquaman had to battle an all-new villain known as the Thirst. Alas, the new direction didn’t spark sales as hoped. Even after Veitch gave Orin a haircut and shave, sales still flagged. Looking back now, interest doesn’t seem to have been the only shortcoming. In particular, the treatment of Black Manta seems especially tone-deaf in retrospect. Without getting too specific, Black Manta was retconned to be on the Autism Spectrum. Then, two issues later, found himself cured of the disorder by Aquaman’s magic hand. Two fill-in issues by writer John Ostrander, pencilers Jim Fern (#13) and Tom Grummett (#14), inkers Ray Snyder (#13) and Wade Von Grawbadger (#14), colorist Nathan Eyring, and letterer Rob Leigh followed. Solid work from all, but they still felt like inventory stories. Aquaman surveys the haunting aftermath of a tremendous earthquake. Image courtesy of DC Entertainment. AQUAMAN #15 begins on a beautiful day in San Diego. Then the creative team of Pfeifer, Gleason, inker Christian Alamy, colorist Nathan Eyring, and letterer Jared K. Fletcher unleashed holy hell on America’s Finest City. A massive earthquake literally shatters it, sinking parts of San Diego — including the Gaslamp Quarter, the San Diego Zoo, the San Diego Convention Center, Coronado, and the Space and Naval Warfare Systems Center — into the ocean. Aquaman — in his classic orange and green togs for the first time since the early 90’s — rushes to the scene to help. Even with his intervention though, the physical and human damage ends up being unprecedented. Some estimates place the missing and the dead at 400,000. 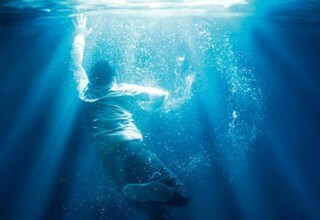 Days later, a boy stumbles from the ocean. Despite efforts by paramedics, he dies. Yet it wasn’t the water that did him in, it was leaving. The evidence? He has gills. Before long, it turns out that he’s not the only one. 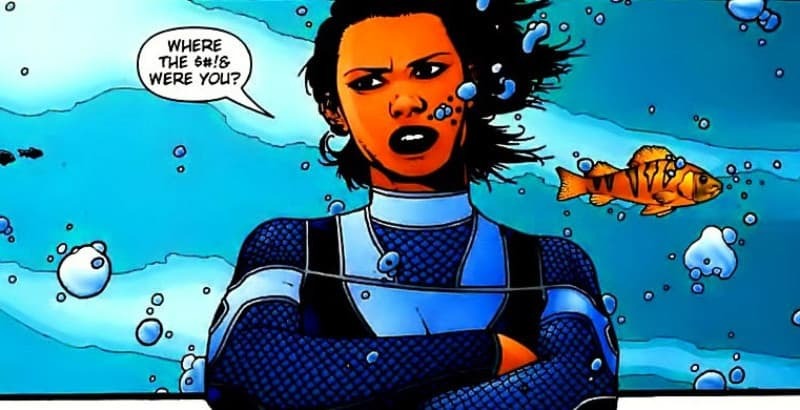 First Lorena Marquez — the woman who will be Aquagirl — emerges from the rubble. Then scores more. Thus is born Sub Diego, the sunken California city. Over the course of eight issues, Pfeifer, et al. 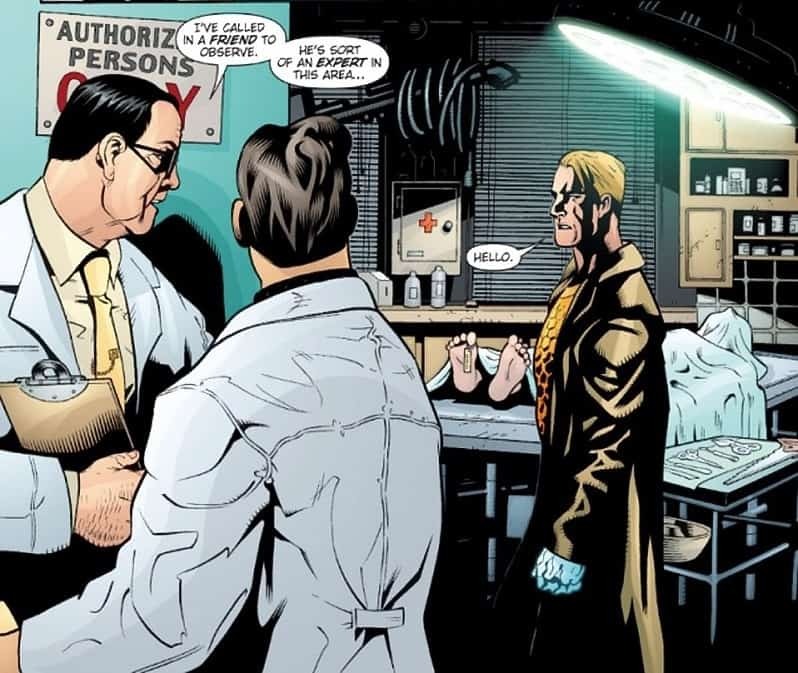 — including Alan Davis and Mark Farmer assisting on art duties for AQUAMAN #19 & #20 — explore how and why Dr. Anton Geist genetically manipulated the survivors to become water breathers. Additionally, we learn of the shady Progene Tech, patrons of Geist who triggered the man-made earthquake. Finally, and most importantly, we see how Aquaman grows into being the hero of a human city, how the residents are affected by their new lives, and how crime evolves in a town beneath the sea. Aquagirl doesn’t mince words in a moment from the Sub Diego storyline. Image courtesy of DC Entertainment. First of all, the central conceit is brilliant. How Pfeifer finds ways to explore what Sub Diego would mean — from establishing a government and a new police force to how businesses might evolve — goes far beyond simply, “an America city where people swim”. 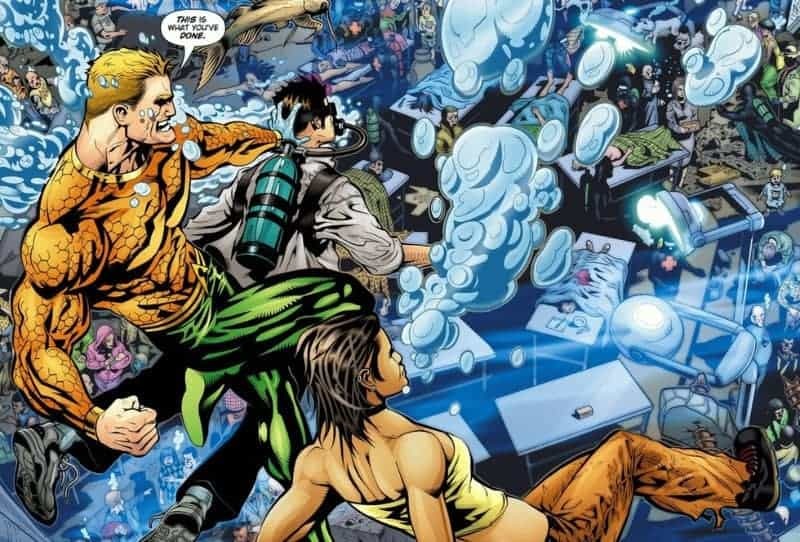 Sub Diego creates a situation that makes the water a wholly alien location for Aquaman. Orin has been a hero to the world as part of the JLA, where he never really gets to know anyone because of the near constant action. He’s been a ruler of an undersea community, where he knew the people as subjects. For the first time in years, however, he’s become a hero to people who he has no power to command. Pfeifer captures this in his characterization of Aquaman. After the events of the first year or so of this run, Orin had lightened up some; becoming less grumpy than in his bearded hook-hand years. With Sub Diego, however, we see him fall back on a version of that old persona. Uneasy with his new responsibilities and trying to solve a mystery, he uses his gruffness as a crutch, as a shield from insecurity. However, unlike during his time with the beard, the personality is ill-fitting. He’s changed too much to slip into and maintain it without cracks showing. Lorena makes it harder to maintain the psychological distance even before she officially becomes his new mentee, Aquagirl. Her mix of righteous indignation and refusal to succumb to cynicism forces him to see her and her fellow Sub Diegoans as individuals. He can neither reduce them to victims nor pretend that — because they’re still alive — they’ve lost nothing. Aquaman drops in on the coroners. Image courtesy of DC Entertainment. AQUAMAN marked Gleason’s breakthrough for me. For the first time, I really noticed his work. Now he’s amongst my top ten active pencilers in comics today. You can see notes of several influences in his work, certainly. 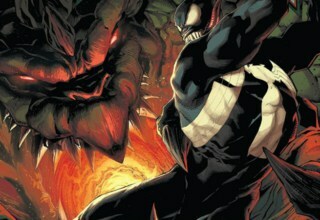 I detect a bit of fellow Minnesotan Doug Mahnke here, perhaps a smidge of Ed McGuinness there. 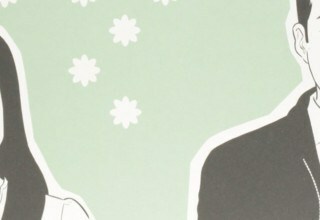 The result, however, feels distinct enough from their styles to still be fresh. His Aquaman is powerful in strength and stance, but Gleason also lets us see the exhaustion. When he shows up in the morgue shortly after the first Sub Diegoan is found, Orin appears almost gaunt and slumped. His London Fog style trenchcoat hangs limply off him, adding to the feeling of a man dragging himself forward despite having no more energy. In contrast, Lorena is a burst of energy. Rarely still, almost always twisting and spinning in the water, she comes across as both dynamic and awkward. She’s experiencing a kind of double teenage-hood, and Gleason captures the exhilaration and fear of it with her ever-shifting poses. 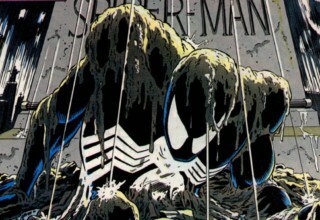 What I think of most when I remember his run on the book though is his depiction of the sunken city. In the same way that Pfeifer wasn’t satisfied to write Sub Diego as “just the same but underwater” Gleason makes sure the art conveys how different Diego’s physics have become. In perhaps the run’s most iconic image, a panda from the now destroyed San Diego Zoo drifts through the panels; massive, silent, and utterly at the mercy of the tides. By finding a balance between the inherent sluggishness of water and the frantic existence of humanity, Gleason creates a wholly new living space. Aquaman gets rough while Lorena looks on. Image courtesy of DC Entertainment. Then, eight issues later, it ended. 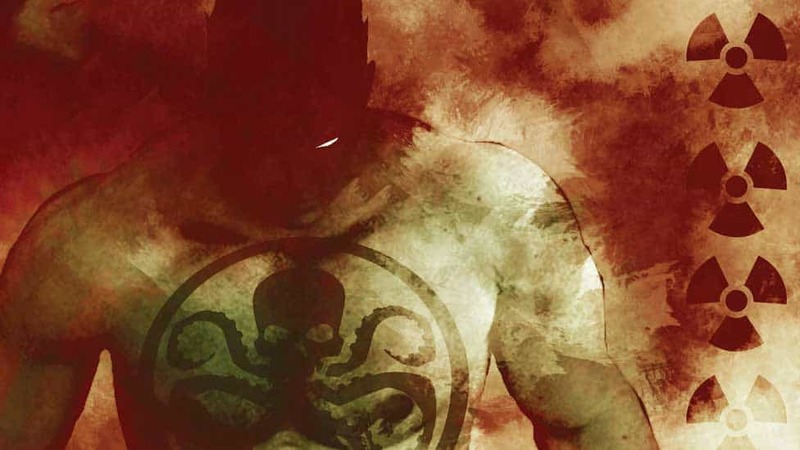 Pfeifer left the book and a series of rotating writers including John Ostrander and John Arcudi would take this volume to its end a year and a half later. Gleason stayed on longer, but not by much. 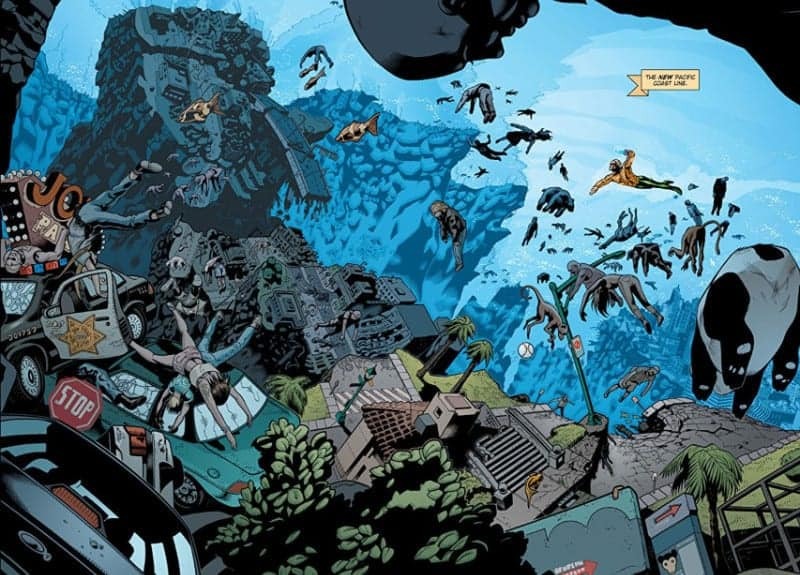 Sub Diego remained an interesting place to set a story, but it became increasingly clear the subsequent creative teams didn’t have the same connection to the sunken city. Without that vision, it began to feel increasingly generic. Arcudi and Ostrander are good writers, so the stories aren’t bad, but that initial electricity that crackled through AQUAMAN #15-#22 fades rapidly. By the end, Sub Diego essentially became the new Atlantis and Aquaman transitioned from hero back to a king. Then with the differences of Sub Diego and Aquaman’s role in the city essentially erased, the place was abandoned for yet another reboot, a sort of swashbuckling Arthurian tale that somewhat echoed where Veitch had attempted to take Orin just over three years earlier. Somewhere out there in the wilds of continuity, I like to think Sub Diego still floats. Waiting. For another chance, another hero, another run. Maybe one that lasts as long as the concept and creators deserve.